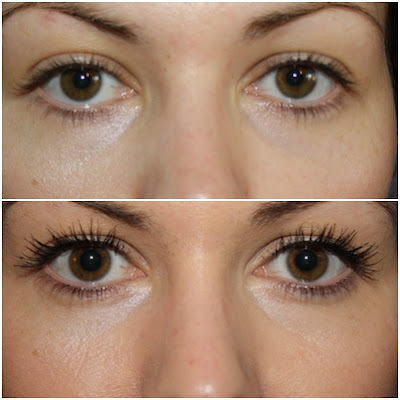 Puffiness and dark circles these are the rewards our body gives us for working hard, not getting enough sleep and having an active home, work or social life. They are the pain in my bum and i am always trying to hide just how tired my face is looking, i was asked to try Fade out brightening under eye cream which promises to reduced puffiness, target fine lines and wrinkles leaving you with a bright and even skin tone... the question at hand is does it actually work? This is to be used twice a day morning and night as well as a face cream, i have been using it every day twice a day for the last week and here are my visual results. I am really happy, i can see that the "bags" under my eyes have deminished, the area is not as yellow/purple as usual and i am generally happy with it. It looks even better now when i apply foundation and it means i don't use as much concealer to blend away the dark circles. The cream is really nice to apply, it doesn't leave your skin feeling greasy and blends in well. The cost does seam a little high but i have spent far more money on creams where i have not seen results. Plus a little goes a long way! you only need a small amount for each use so this 15ml tube should last you a while. I am really happy with this and would buy this again. 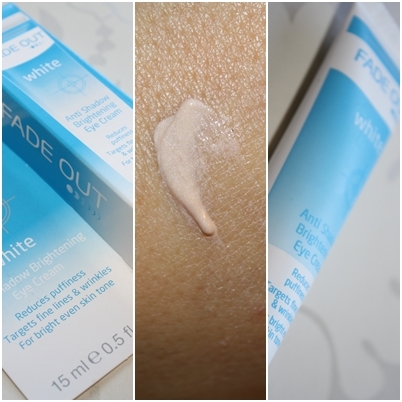 Have you used Fade outs products? i must admit i wouldn't mind trying more of the range. So you have seen my results, do you want to try it for yourselves? i have been given 5 tubes of this gorgeous little lifesaver to give away to 5 of my wonderful readers. This is for residents of the UK only (sorry guys) and will be running for a week, to enter please see below! looks amazing great giveaway thanks ! You can truly see the difference!! Even my hubby commented on it. Thank you so much for sharing with us and of course for holding a giveaway and giving us the chance to win one. Oh that looks good I am loving the fact you can see a real difference in a week. I have been using Soap & Glorys You Won't Believe Your Eyes™ Illuminating Under-Eye Serum which while it is nice to apply and has nice packaging hasnt really given me any results! I have real bad circles.. they are deep purple and they are there everyday u can even see them in this DP of mine .. i hv already used scores of tubes of stuff.. no love yet.. can i plz win this one try out? Thanks for the giveaway bdw..
why should consider laser eye surgery is that, while laser eye surgery might seem like it is something that is expensive, it is going to save you money in the long run.